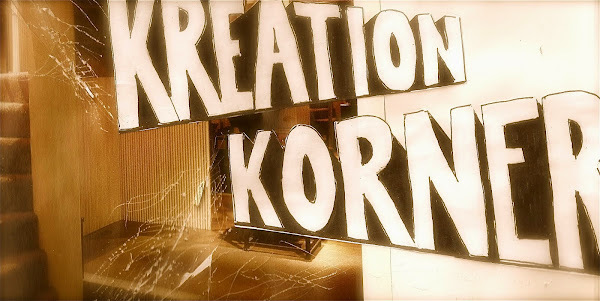 The Kreation Korner: The Korner Kares... More! This week's edition of "The Korner Kares" comes straight from the mouth of Nathan Rhombus, a prolific writer with whom we've had the good fortune of collaborating for further inspired and inspiring kreations that are sure to optimize even the strongest of pessimists. Enjoy the komfort of kreation. You are a train of high speed. reminding him of his painterly destiny.